According to Ronald Laxton, General Manager at Keyrus, the growth in popularity of shared services as an organisational means of creating more efficient service delivery is a direct response to the services-based economy. Shared services allow for costs to be reduced through outsourcing or through economies of scale from centralisation of services. However, the calculation, the allocation and the reporting of these costs to the relevant business units can be difficult. 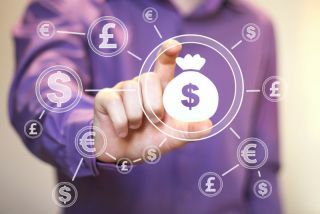 Moreover, he adds, no less an entity than Gartner has suggested that the effective implementation of the discipline of cost transparency will save an organisation around 10 per cent to 15 per cent of its shared services costs, year-on-year. And it is not only limited to costs either, continues Blake Davidson, Head of Delivery for Magic Orange platform, who indicates that cost transparency is equally adept at helping businesses to improve performance and increase efficiencies. “In effect, you achieve not just a clearer view of costs, but also the ability to do something about them in such way as to increase performance. For example, granular knowledge of what services are being run on which servers may demonstrate to a business unit that multiple servers are only running at 50 per cent capacity. This will enable them to consolidate in this area, reducing costs and increasing efficiencies at the same time,” Davidson suggests. Implementing effective cost transparency is very much a journey, Davidson continues, and is thus not something that can or should be implemented via a big bang approach. Laxton agrees, indicating that a critical part of cost transparency is the educational process required to drive the mindset change among those who will be using this approach. “Moreover, with the right tool, one which is able to deliver truly granular detail, people will be able to understand what the costs are in detail and where these are found in the value chain. Thus it becomes possible not only to understand how much it costs to manufacture a product or provide a service, but ultimately to determine what it costs to support the entire ecosystem, from delivery and support through to infrastructure and marketing. Magic Orange is that tool,” he concludes.